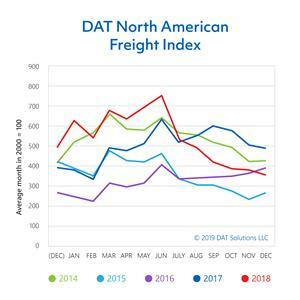 DAT Freight Index numbers indicate truckload freight volumes slipped 27% in December 2018 against last year’s numbers. 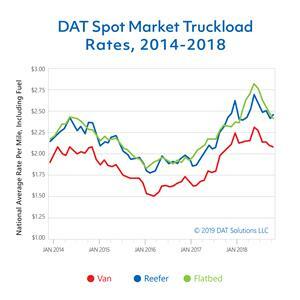 Load availability has trended downward since August as capacity loosened and trucks were more available. Despite the downturn, volume increased 7% overall for the year.